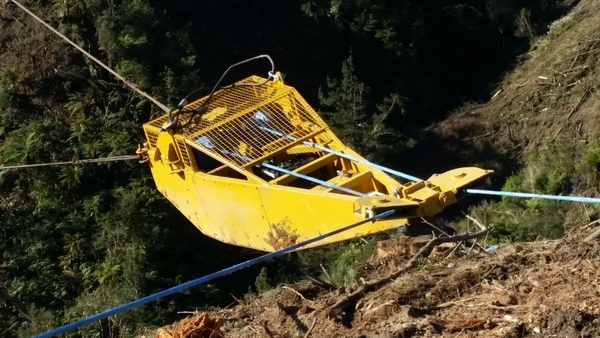 You are invited to attend the field demonstration of steepland harvesting equipment organised by Forest Growers Research Ltd (FGR) at the harvesting operation of Wood Contracting Nelson Ltd in Moutere Forest, Nelson on Thursday 3rd August, 2017. A wide array of innovative products and equipment will be demonstrated that has been developed by equipment manufacturers and logging contractors in conjunction with Forest Growers Research (formerly Future Forests Research) and the Primary Growth Partnership. Bus transport departs from Trailways Hotel, 66 Trafalgar Street, Nelson at 9:15am on Thursday 3rd August with a pick up at Nelson Airport at 9:45am and returns to Nelson Airport at 4:30pm and then Nelson at 5:00pm. Cost of Field Day: $50.00 (GST incl) per person. Cost includes lunch, drink and bus for the day. Please bring your own safety helmet, hi-viz vest and sturdy footwear. If you wish to attend please register using the “register now”. We are now approaching the fifth anniversary of the Forest Growers Levy funded work programme. The programme aims to increase forest profitability, reduce risk and ensure the industry’s licence to operate is protected. Day 1 of the 2018 conference will include a report back on the wider activities supported by the Forest Growers Levy Trust as well as presentations on research that are of benefit to small forest owners. Day 2 will have a focus on genetic improvement, work to improve productivity and wood quality, and biosecurity. Log export logistics and fumigation will be discussed. The field trip will include a visit to Port of Tauranga to look at log export logistics technology, log fumigation and methyl bromide recapture technologies, along with a visit to an award winning farm forestry property near Tauranga. A more detailed programme and registration details will be available by early June. Come along and benefit from this significant investment in the future of the forest growing industry by the Forest Growers Levy Trust.